Our largely acclaimed Tens Channel used to treat pain for nerve excitation with more restraining intent, widely used in hospitals and many other medical centers. We manufacture these tens using optimum quality materials by implementing the innovative technology and well developed mechanisms in accordance with the quality standards. These Tens Channel are immensely demanded in the market owning to durability, reliability, strong and fine performance. These products clients can avail from us at most reasonable prices. Four Channel Tens Table Model is an advanced table top model. . BMS Table model Tens Dual channel, four channel and eight channels are more advanced compact size, light weight and based micro controller circuitry. BMS table model Tens are having patient safety circuit. Pulse width 400 Micro Sec. Driven with perfection, we are engaged in catering to the variegated requirements of the customers by bringing forth a comprehensive range of Tens Programmable 4 Channel. Latest machinery and sophisticated tools are used in manufacturing this product with the aid of high-class raw material and other basic components. The raw material used in manufacturing this is obtained from reliable vendors of the industry. DIGI TENS 2 Channel is manufactured by using superior quality materials and according to the international quality standards. We offer customization of these products according to the specifications of the clients. These are highly demanded by surgeons due to their durability, quality, optimum performance and excellent service. Our range is available at competitive prices in the market.for more informations please watch our you tube channel, by the link https://youtu.be/vJmqfkPsj3Y.and subscribe our channel . 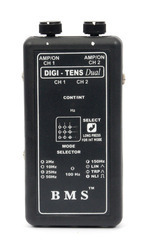 Clients can access these Digi Tens Duals Pocket Model which is simple to operate with a large & clear digital display. We offer a selection of pre-programmed pain relief options to suit different conditions. With this Digi-Ten Dual you can see all of the information clearly on a dual channel LCD display screen. Clients can access these Pocket tens that are simple to operate with a large, clear digital display and we offer a selection of pre-programmed pain relief options to suit different conditions. With this Digi-Ten Dual, you can see all of the information clearly on a dual channel LCD display screen. 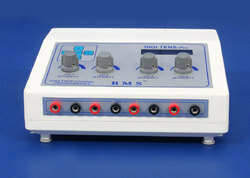 We are leading manufacturers of Digital Tens Unit.It has 4 channels and separate intensity for each channels. Low-frequency current is mainly used in the management of pain, both acute and chronic type. TENS is also used either to produce muscle contraction or to introduce the chemical into the body (Iontophoresis). TENS is a low-frequency current modality most widely used as an analgesic physiotherapeutic modality. Treating the analgesic after knee arthroplasty. Promote rehabilation of knee functions. Low-frequency current is mainly used in the management of pain, both acute and chronic type. 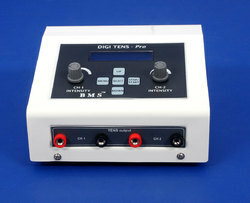 TENS is also used either to produce muscle contraction or to introduce the chemical into a body (Iontophoresis). TENS is a low-frequency current modality most widely used as the analgesic physiotherapeutic modality. The machine used is called TENS unit which may be the single or multichannel machine. Driven With Perfection, we are engaged in catering to the variegated requirements of the customers by bringing forth a comprehensive range of Computerized 4 channel Tens. Latest machinery and sophisticated tools are used in manufacturing this product with the aid of high-class raw material and other basic components. The raw material used in manufacturing this is obtained from reliable vendors of the industry. it has four channels with separate intensity knobs. Looking for Tens Unit ?